13th Independent Battery: Reporting from Bridgeport, Alabama with four 3-inch Ordnance Rifles. When the Eleventh Corps left Culpeper, Virginia, to reinforce Chattanooga, during the last week of September, the 13th Battery was among their number. Captain William Wheeler, promoted in August, commanded the battery. 14th Independent Battery: No return. This battery was broken up starting in the spring of 1862. The first section was initially assigned to Battery C, 4th US Artillery, in March 1862, but later transferred to Battery G, 1st New York Artillery, in January 1863. The second section was also transferred to Battery G, 1st New York, in May 1862. At the same time the third section went to Battery B, 1st New York in May 1862. The battery was formally disbanded in September 1863. It’s last commander, Captain James Rorty, was killed in action at Gettysburg while in temporary with Battery B, 1st New York. 15th Battery: In Culpeper, Virginia with four 12-pdr Napoleons. The battery “made the rounds” in the Artillery Reserve of the Army of the Potomac. Under Captain Patrick Hart, the battery started the summer in the 1st Volunteer Brigade of that reserve. In early August, they moved to the 4th Volunteer Brigade. 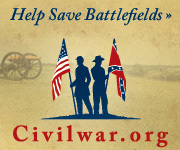 But by the end of the month, they were assigned to the 3rd Volunteer Brigade. 16th Battery: No return. Captain Frederick L. Hiller’s battery remained with the Seventh Corps and stationed at Newport News, Virginia. Earlier in the year, the battery reported six 10-pdr Parrott Rifles. 17th Battery: In Centreville, Virginia with six 12-pdr Napoleons. Captain George T. Anthony’s battery was at that time assigned to King’s Division, the Defenses of Washington (Twenty-second Corps). 18th Battery: At Baton Rouge, Louisiana with four (down from six) 20-pdr Parrotts. 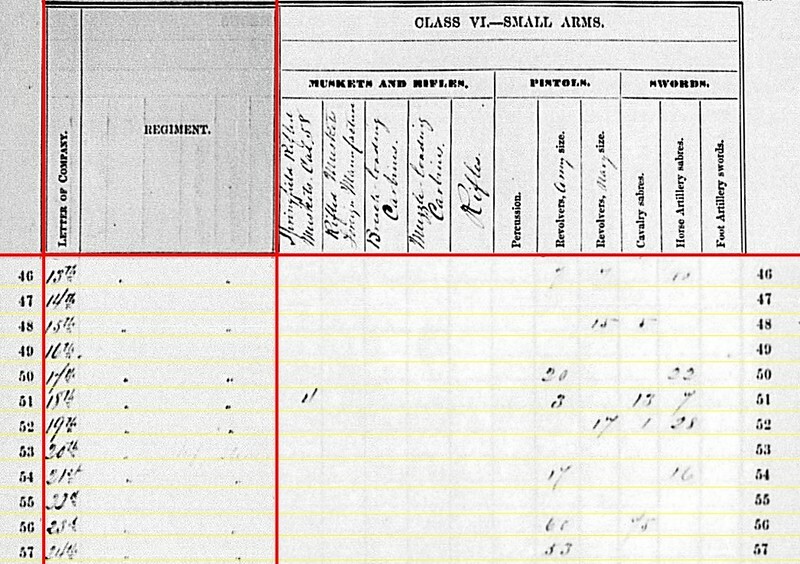 The report was not received in Washington until May 1865! After the fall of Port Hudson, the battery was sent to the defenses of New Orleans, still in the Nineteenth Corps. Captain Albert G. Mack retained command. 19th Battery: At Camp Barry, District of Columbia, with six 12-pdr Napoleons. At the end of June, the 19th Battery transferred from the Seventh Corps (serving at Suffolk) to the Washington Defenses, Twenty-second Corps. 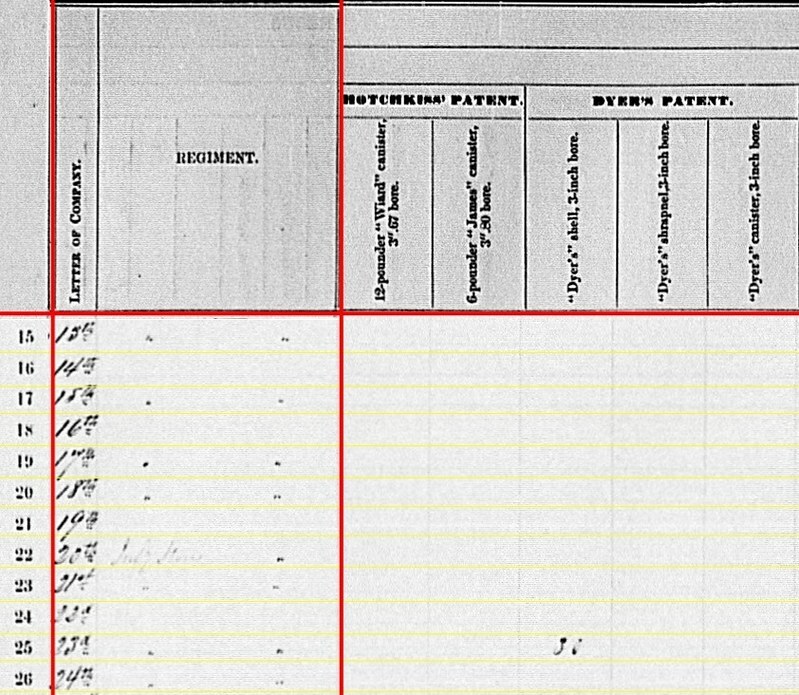 Captain William H. Stahl succumbed to typhoid fever on September 15, 1863. Captain Edward W. Rogers replaced him. 20th Battery: At Fort Schuyler, New York with “infantry stores” only. Captain Benjamin Franklin Ryer’s battery served as garrison artillery. The battery helped suppress the New York riots in July. And that was, more or less, their “combat” for the war. 21st Battery: At Port Hudson, Louisiana with four 3-inch steel guns (make and model unspecified). The report is from February 1864. After the fall of Port Hudson, the battery remained at that post, as part of the Reserve Artillery of the Nineteenth Corps. Captain James Barnes remained in command. 22nd Battery: No return. Earlier in February 1863 the battery became Company M, 9th New York Heavy Artillery. 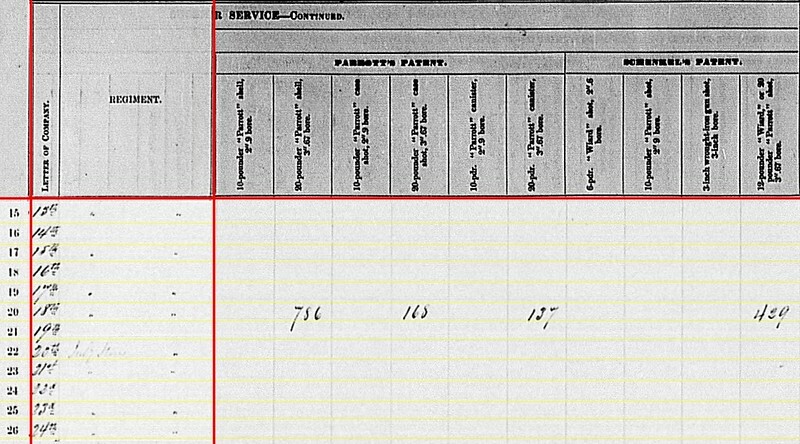 The designation remained on the clerk’s report as a placeholder. 23rd Battery: Washington, North Carolina with six 3-inch Ordnance Rifles. Originally, Battery A of the New York Rocket Battalion. Captain Alfred Ransom was in charge of this battery, assigned to the District of Pamlico, Eighteenth Corps, Department of North Carolina. 24th Battery: At Plymouth, North Carolina with six 12-pdr Napoleons. Another formerly of the Rocket Battalion, in this case former Battery B. This battery was also assigned to the District of Albemarle, Eighteenth Corps, Department of North Carolina. Captain A. Lester Cady remained in command. 15th Battery: 128 shot, 64 shell, 192 case, and 128 canister for 12-pdr Napoleons. 17th Battery: 288 shot, 96 shell, 288 case, and 96 canister for 12-pdr Napoleons. 19th Battery: 288 shot. 96 shell, 288 case, and 96 canister for 12-pdr Napoleons. 24th Battery: 359 shot, 214 shell, 448 case, and 368 canister for 12-pdr Napoleons. 13th Battery: 80 canister, 160 fuse shell, and 480 bullet shell for 3-inch rifles. 18th Battery: 95 shell for 3.67-inch rifles (in this case 20-pdr Parrotts). 21st Battery: 138 canister, 20 fuse shell, and 583 bullet shell for 3-inch rifles. 23rd Battery: 197 canister, 137 percussion shell, 360 fuse shell, and 565 bullet shell for 3-inch rifles. 18th Battery: 138 shot, 216 shell, and 89 canister for 20-pdr Parrott. 13th Battery: 80 Schenkl shell for 3-inch rifles. 13th Battery: Seven army revolvers, seven navy revolvers and ten (?) horse artillery sabers. 15th Battery: Fifteen navy revolvers and five cavalry sabers. 17th Battery: Twenty army revolvers and twenty-two horse artillery sabers. 18th Battery: Four .58-caliber Springfield rifled muskets, three army revolvers, thirteen cavalry sabers, and seven horse artillery sabers. 19th Battery: Seventeen navy revolvers, one cavalry saber, and twenty-eight horse artillery sabers. 21st Battery: Seventeen army revolvers and sixteen horse artillery sabers. 23rd Battery: Sixty army revolvers and seventy-five cavalry sabers. 24th Battery: Fifty-three army revolvers. We’ll complete the New York independent batteries, and the states’ listings for the third quarter as a whole, in the next installment. Of the twelve, only eight had returns for the quarter. Only one of those was posted to Washington before the end of July. Three arrived in August. Another in September. And the last two were not filed until 1864. An administrative “stretch” of the data. 14th Independent Battery: No return. Earlier in the spring of 1862, personnel of this battery were distributed to other batteries. As of June 1863, the first section was assigned to Battery B, 1st New York; second and third sections to Battery G, 1st New York. At Gettysburg, Captain James McKay Rorty, of the battery, commanded Battery B, 1st New York Light Artillery. But he was mortally wounded on July 3. The battery was formally disbanded in September 1863. 15th Battery: As of the August 15 report, was at Rappahannock Station, Virginia with four 12-pdr Napoleons. The battery was assigned to First Volunteer Brigade, Artillery Reserve, under Captain Patrick Hart. In May, the battery had turned in their 3-inch rifles for the Napoleons. At the end of June, the battery was, with the rest of McGilvery’s Brigade, in Maryland, with an appointment two days later at the Peach Orchard of Gettysburg. 16th Battery: No return. Captain Frederick L. Hiller’s battery transferred to the Seventh Corps in April, and stationed at Newport News, Virginia. In the previous quarter, the battery reported six 10-pdr Parrott Rifles. 17th Battery: At Camp Barry, District of Columbia with six 12-pdr Napoleons. 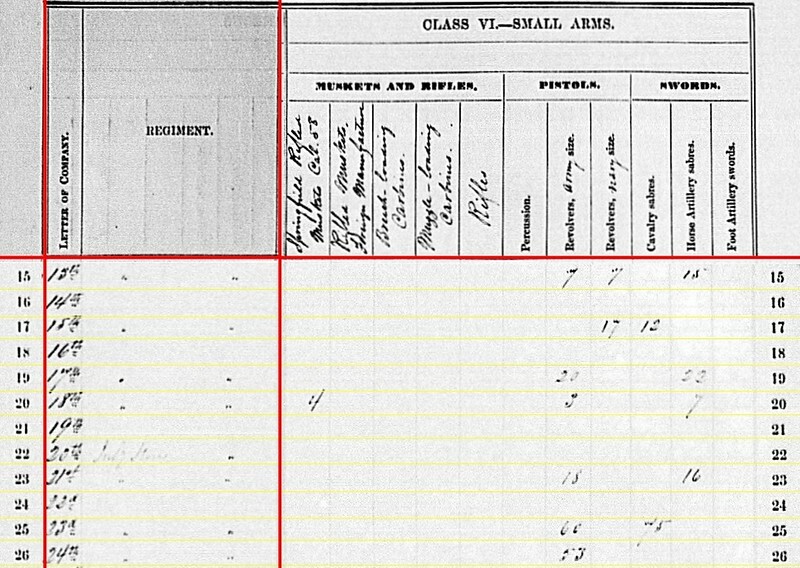 Captain George T. Anthony’s battery was assigned to the Artillery Camp of Instruction. 18th Battery: At Port Hudson, Louisiana with six 20-pdr Parrotts. The report was not received in Washington until August 1864. The battery transferred from Second Division to First Division, Nineteenth Corps in May. Captain Albert G. Mack retained command. The battery participated in the siege of Port Hudson. 19th Battery: No return. The battery, under Captain William H. Stahl, transferred to First Division, Seventh Corps in April. The battery saw action in the siege of Suffolk. In the previous quarter, the battery reported six 12-pdr Napoleons. 20th Battery: At Fort Schuyler, New York with “infantry stores” only. Captain B. Franklin Ryer’s battery served as garrison artillery. The battery would be involved with the suppression of the New York riots in July. 21st Battery: At Port Hudson, Louisiana with four 3-inch steel guns (make and model unspecified). The report is from February 1864, but accurate. This battery, under Captain James Barnes, was assigned to Second Division, Nineteenth Corps. 22nd Battery: No return. Earlier in February the battery became Company M, 9th New York Heavy Artillery. 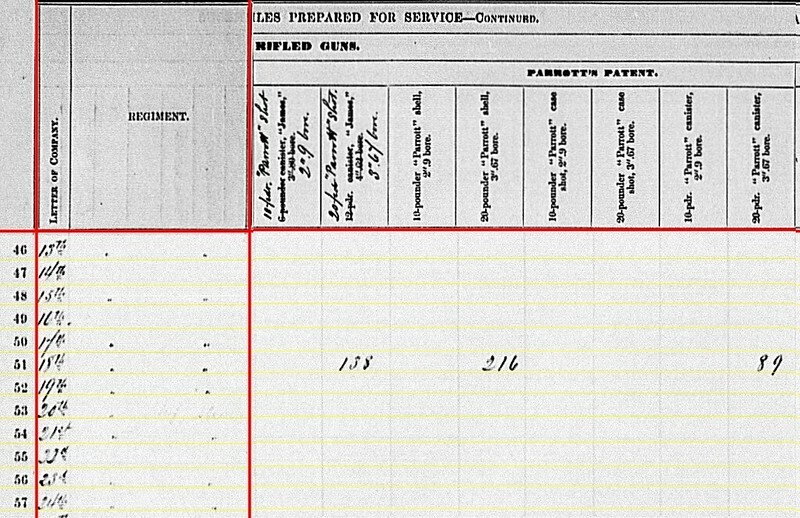 The designation remained on the clerk’s report as a placeholder. 23rd Battery: Washington, North Carolina with six 3-inch Ordnance Rifles. Originally, Battery A of the New York Rocket Battalion. Captain Alfred Ransom was in charge of this battery, assigned to the Eighteenth Corps, Department of North Carolina. 24th Battery: At Plymouth, North Carolina with six 12-pdr Napoleons. Likewise, Battery B of the Rocket Battalion with this new designation taking effect in February. This battery was also assigned to the Eighteenth Corps. Captain Jay E. Lee resigned in mid-June. Lieutenant A. Lester Cady was promoted and assigned command. As I said, varied service – from New York harbor to Port Hudson on the Mississippi. 17th Battery: 288 shot, 69 shell, 388 (?) case, and 96 canister for 12-pdr Napoleons. 24th Battery: 393 shot, 230 shell, 464 case, and 368 canister for 12-pdr Napoleons. 13th Battery: 70 canister, 150 fuse shell, and 430 bullet shell for 3-inch rifles. 18th Battery: 95 fuse shell for 3.67-inch rifles (20-pdr Parrott). 21st Battery: 310 canister and 473 bullet shell for 3-inch rifles. 23rd Battery: 191 canister, 68 percussion shell, 281 fuse shell, and 552 bullet shell for 3-inch rifles. 23rd Battery: 30 (?) Dyer’s shell for 3-inch rifles. 18th Battery: 786 shell, 168 case, and 137 canister, Parrott patent; 439 Schenkl shot, also for 20-pdrs. 13th Battery: 80 shell for 3-inch rifles. 18th Battery: 40 shell for 20-pdr Parrotts. 21st Battery: 47 shell for 3-inch rifles. 13th Battery: Seven Army revolvers, seven Navy revolvers, and fifteen horse artillery sabers. 15th Battery: Seventeen Navy revolvers and twelve cavalry sabers. 18th Battery: Four Springfield muskets (.58 caliber), three army revolves, and seven horse artillery sabers. 21st Battery: Eighteen Army revolvers and sixteen horse artillery sabers. We will find this pattern of varied service repeated in the last portion of independent batteries. We will look at batteries 25 to 32 in the next installment. Along with three “detachment” lines.